March 29th has been declared National Vietnam War Veterans Day. The Vietnam War Veterans Recognition Act of 2017 was a bi-partisan authorship that was introduced and sponsored by Pat Toommey and Joe Donnelly on February 3, 2017. The United States Senate and House unanimously passed the act on February 8th and March 21st respectively. President Trump signed the act on March 28th making the Vietnam War Veterans Recognition Act the first federal statute that specifically provides the honoring of Vietnam War Veterans. Vietnam Veterans Day was originally recognized on March 29, 1974 by President Nixon. March 29th marks the day that the last combat troops were withdrawn from Vietnam and the last prisoners of war held in North Vietnam arrived on American soil. Nixon stated that, “No event in American history is more misunderstood than the Vietnam War. It was misreported then, and it is misremembered now.” Nixon called for Vietnam Veterans Day as a way to thank and welcome home the soldiers who served in Vietnam, and never received the “welcome home” they deserved when returning to American soil. Many of the service members that served in the Vietnam War were spit on and called “baby killers when returning home. In the passing of the Vietnam Recognitions Act, President Trump encourages us to display the American flag to honor those that served in the Vietnam War annually on March 29th. There are many additional ways that we can say thank you and pay our debt to the men and women who selflessly served and sacrificed for our nation during the Vietnam War. 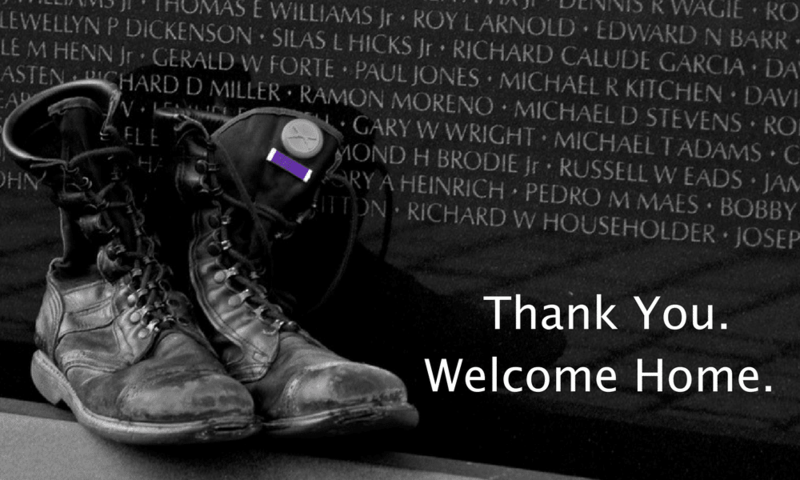 We would love to hear from you and how you choose to thank Vietnam Veterans for their service. Please leave your ideas in the comment section below. No matter how, make sure you thank and give the long over-due recognition to our Vietnam Veterans.